A safe home is important for seniors who have age-related health changes that place them at a higher risk for an injury. For instance, medication side effects could cause your aging loved one to get dizzy and fall. As you set up your loved one’s home, make sure to implement these strategies to help him or her maintain a safer environment. The kitchen is one area of the home that’s filled with potential dangers. Your loved one should be careful to set up the kitchen so everything is easily accessible. For instance, the cookware your loved one uses daily should be on low shelves so he or she doesn’t have to climb a stepladder. Your loved one should also have a nonskid mat on the area in front of the sink to further reduce the risk of falling as he or she cooks. For seniors who still want to prepare meals but have health conditions that make cooking alone unsafe, professional caregivers can be a great resource. Many older adults are choosing to age in place, and some need a helping hand to continue living at home safely and comfortably. Luckily, there is professional home care Winnipeg seniors can trust and rely on. well-lit house doesn’t just brighten your loved one’s mood. It also helps him or her see potential dangers before they cause harm. Make sure your loved one’s house is filled with different types of lighting, and pay extra attention to the outdoor lights and any that line the halls. You can also add automatic lighting and bulbs that can be controlled by voice commands or smartphone apps so your loved one doesn’t even have to try to make it to the switch. Many household accidents are caused by plain old clutter. Take the time to clear out shelves so things don’t fall on top of your loved one’s head as he or she searches for items in the pantry or closets. The walking path should also be free of clutter. Encourage your loved one to use baskets or bins for small items that tend to get strewn across the floor. Every senior has different needs when aging in place. Some simply need occasional assistance with household chores, while others may be managing a serious illness and require more extensive live-in care. Winnipeg seniors can count on Home Care Assistance to provide the in-home care they need and deserve. Your loved one’s home should be checked regularly for signs of damage that pose a safety risk. For instance, a rickety handrail could give way and cause your loved one to go tumbling down the stairs. A loose piece of flooring could also cause him or her to trip. Take note of things that need repair and make sure they’re fixed right away. You never know what might happen. Your loved one could slip and fall while walking outside to check the mail or faint due to low blood sugar. Even with all the safety protocols in place, your loved one needs a way to reach out to someone in an emergency. Help your loved one choose a medical alert system, and encourage keeping his or her cell phone on hand whenever possible. Your loved one should also have a caregiver who calls or stops by once a day to make sure all is well. Having multiple safeguards in place means your loved one will never wait long for help should the day take a frightening turn. If your elderly loved one needs help maintaining a high quality of life while aging in place, reach out to Home Care Assistance, a trusted provider of Winnipeg home care. Our caregivers provide transportation to and from medical appointments and social events, nutritious meal preparation, assistance with daily exercise, and help with everyday tasks like bathing, grooming, and light housekeeping. 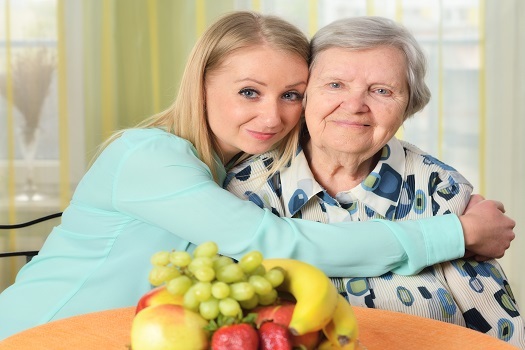 To hire a dedicated caregiver, call Home Care Assistance at (204) 489 6000 today.